Christmastime is my favorite time of the year and so are Christmas cards. I always like to start early on my Holiday cardmaking to make sure I have enough cards to send to family and friends and also to donate. 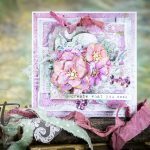 For my today’s video tutorial I used several dies from Holiday 2016 collection and paired them with older Spellbinders dies. This is something I love doing! I rarely go with just one die set when I am making a card as I really like to mix and match elements from various sets on my projects. Today I’m working with stunning Vintage Ornaments (and turning an ornament into a mini shaker), holly leaves from the Peppermint Stick set and a few other sets, a full list is below. 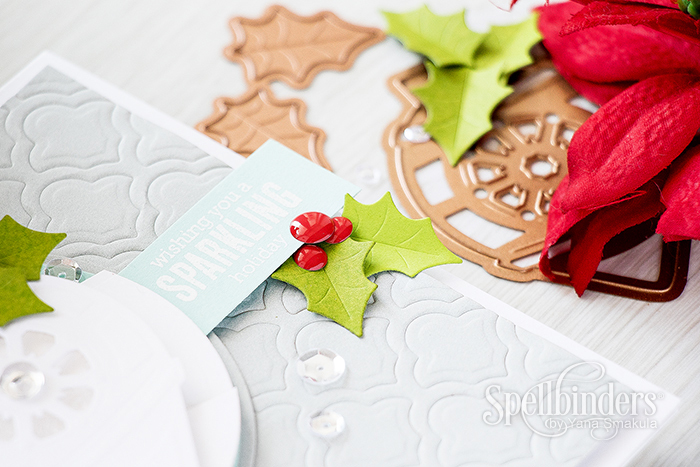 Aside from the usual die cutting, I am also using an expandable pattern die to emboss a background for this card. 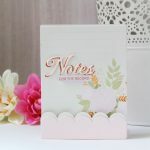 This is a great way to stretch the use of your dies and turn a large die into an embossing plate! 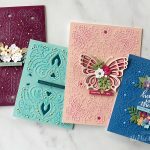 White, gray, blue, green cardstock; Clear acetate; Clear beads; Foam adhesive, Tape runner; Clear Stamp (Hero Arts – Christmas Messages); White embossing powder; Clear embossing ink; Heat tool; Red enamel dots; Bakers twine; Clear sequins; glue.